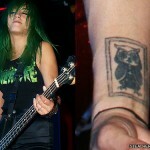 Brenda Song has a bee tattoo on her right wrist. 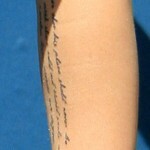 Brenda Song has writing on the inside of her left wrist that looks like it says “Let go / Let God.” Demi Lovato has a similar tattoo on her foot. 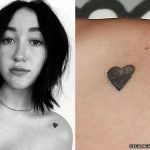 Brenda Song has two tattoos on her left hand: an anchor on her pinkie knuckle and the word “love” on the side of her ring finger. 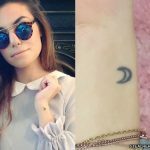 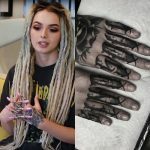 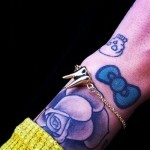 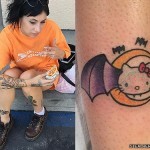 The anchor is a matching tattoo with her ex-fiancé Trace Cyrus, who has got his anchor on his face. 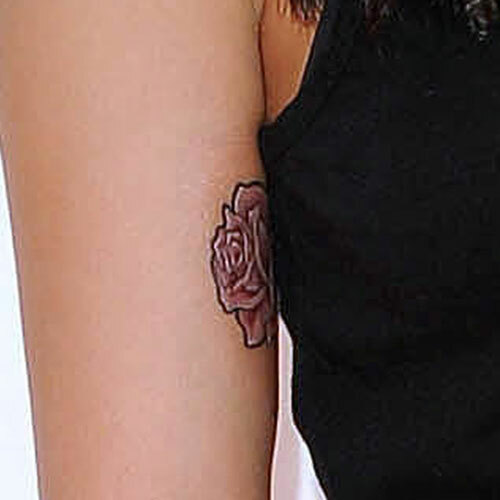 Brenda Song got this rose tattoo on the inside of her right upper arm in August 2010.